Christina joined Brunel in October 2009 as Professor of Gerontology and Public Health in the School of Health Sciences and Social Care l having previously held professorial posts at Reading University and St George’s Hospital Medical School. Christina started her academic career as a geographer with a particular interest in the spatial distribution of health and illness and access to, and provision of, health and social care. She has a BA in Geography from Swansea University and an M Phil in medical geography from Nottingham. It was whilst working at the Medical School in Cardiff that she developed her interests in gerontology and her PhD investigated outcome after discharge for older people in Wales and she now focuses her interests in public health/population medicine on to the experiences of old age and later life. Christina’s initial research interests were focussed upon health and health inequalities and the evaluation of services for older people. More recently she developed a keen interest in loneliness and isolation; the benefits of exercise and activity in later life and the experiences of old age and later life amongst minority communities. She is currently leading a number of research projects funded by range of ages including ESRC (‘Families and Caring in South Asian Communities); Leverhulme (Inter and intra generational patterns of caring amongst minority communities); Dunhill medical trust (dignity in care for older people). 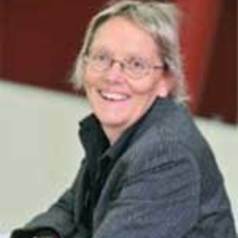 In addition she is part of research projects focussing upon falls prevention in mental health settings (funded by NIHR); Dementia services development in Jordan (funded by the British academy); an intervention to increase exercise amongst older people in primary care (funded by NIHR) and understanding the links between care homes and primary care (funded by SDO). Christina has written over 180 journal articles and book chapters and has published 8 books in the field of gerontology. Her most recent book, Ageing, Health and Care, was launched by Policy Press at the British Society of Gerontology conference held at Brunel in July 2010. She has recently taken over as Editor of Ageing and Society, the leading social gerontology journal in the UK. In addition she is a member of a range grant awarding bodies including NIHR and ESRC. She is a Fellow of the Faculty of Public Health and an Academician of the Academy of Social Sciences.